Located in the heart of the American South, Alabama is the perfect state for those that love great food, being outdoors, and having fun. Home to several bustling cities and many relaxed small towns, Alabama is the best of both worlds. The state is also the location of many accredited universities and colleges, including the University of Alabama and Auburn University. The scenic beaches of Alabama are a major tourist destination. Sports fans will enjoy the many sports arenas for many different professional sports, including Regions Park and Hank Aaron Stadium. If you are a fan of automobile racing, then be sure to visit the Talladega Speedway. No matter what your favorite outdoor activity is, there is a great way to enjoy it in Alabama. The state is home to many wildlife areas and game preserves, excellent for hunting and fishing. If you are a fan of boating or rafting, then be sure to check out all of the beautiful waterway, including the Tennessee River and Wheeler Lake. Scenic outdoor spots in the state include the Tennessee Valley, Ridge-and-Valley Appalachians, and the Gulf Coastal Plain. 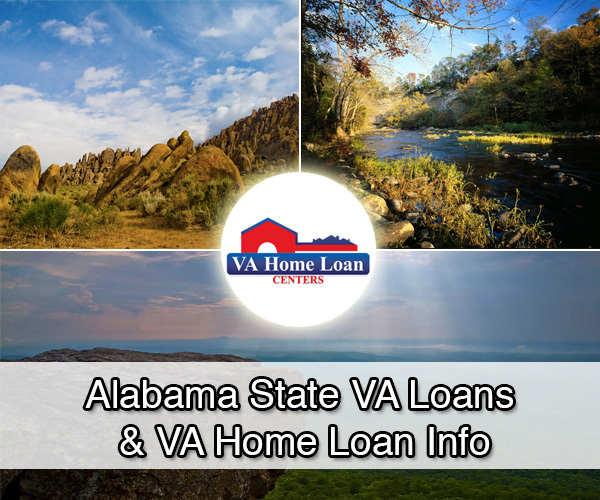 In the cities of Alabama, you can enjoy all of the amenities of a large city along with that great Southern charm. Birmingham is a popular city to move thanks to its great job outlook, affordable housing, and many family resources. If you are looking for nightlife, then nothing beats the cities of Alabama. Home to a multitude of museums, water parks, amusement parks, and more, there is something for everyone in Alabama. Easily apply for a home loan in Alabama by clicking here. Make your dream home a reality with Federal Home Loan Centers. Return to page with all listed states.